Put all above ingredients in blender and blend until very smooth. Cook 3 cups macaroni according to package directions. Drain and place in greased 9x13 casserole. 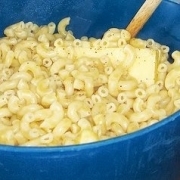 Pour cashew pimento mixture over the top, making sure that all of the macaroni is coated. Bake covered at 350 for 30 minutes. Uncover and sprinkle another ½ cup of seasoned bread crumbs on top. (optional). Bake uncovered for another 15 minutes.